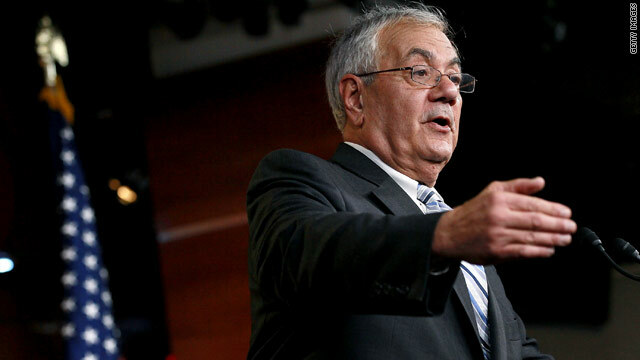 Barney Frank headed to Senate? (CNN) – Just a day after ending his final term in the House of Representatives, Barney Frank hinted he may be headed back to Capitol Hill, if on a temporary basis. The former Massachusetts lawmaker told hosts on MSNBC Friday he has asked Bay State governor Deval Patrick to appoint him as a temporary senator in the likely event John Kerry leaves the upper chamber to become secretary of state. Kerry, who was formally nominated to the post before Christmas, is widely expected to be confirmed by his colleagues. Frank pointed to the delayed battle over raising the federal debt ceiling – which Republicans have said must be paired with cuts to government spending – as reason for wanting to remain in Washington a little while longer. "I'm not going to be coy. I've told the governor that I would now like, frankly, to do that because I would like to be a part of that," Frank said. "A month ago, two weeks ago in fact, I said I wasn't interested," he added. "It was like you were about to graduate, and they said you've got to go to summer school. But that deal now means that February, March, and April are going to be among the most important months." In July, Frank married his longtime partner James Ready in a ceremony officiated by Patrick. He has said that he was looking forward to spending time with his family after serving more than three decades in the House. A stint in the Senate would be temporary, Frank stressed. He has no interest in running for the permanent spot himself. "It's only a three month period, I wouldn't want to do anything more. I wouldn't want to run again," he said, adding: "Thirty-two years in the House, three months in the Senate, I'm a House man." In late December, fellow Massachusetts Rep. Ed Markey told supporters he was running for Kerry's Senate seat. His announcement was followed by an endorsement from Kerry and backing from the national group tasked with electing Democrats to the Senate. Markey is the only candidate to have announced publicly he will seek the seat, though other Democrats have indicated their interest. The state's outgoing Republican Sen. Scott Brown, who lost his bid for re-election to a full term, may also throw his hat in the ring. Republicans HAVE to compromise- after all they got creamed in the last election losing the Presidency and seats in the House and Senate. Don't you think that indicates what Americans think about Republicans and their policies? Keep it up man- the GOP is headed to the ash bin of history. Ever hear of george W. Bush? If not, look him up under "cause of the recession of 2007". Yes. There's no debate. DO IT NOW. Do not pass doubt, do not collect concern for optics. Frank wil do a fantastic job fighting the GOP/Teatroll attempts to manufacture another crisis over the debt ceiling with their hostage taking and fanatical, dogmatic ideological recalcitrance. Besides, what a better possible way could there be to flip the bird at McCain, Ayotte and Twinkletoes for their nonsense over Susan Rice? NO QUARTER. MAKE IT SO.